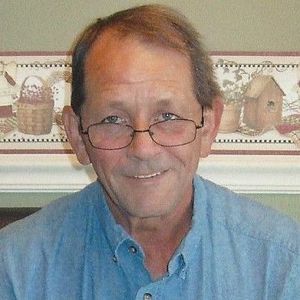 Browder- Mitch Dale Rice, age 58, of Browder, died Saturday, April 27, 2013 at 11:46 AM in Beechmont. Mr. Rice was born September 23, 1954 in Muhlenberg County. He was employed at Beechmont Auto Parts and a member of the Baptist faith. Survivors include his wife, Sharon Wester Rice, of Browder. ; a son Andrew (Kristina) Rice of Bowling Green; two daughters, Beth Rice (Rickie) Vincent of Bremen, and Miranda (Scotty) Wester of Browder; a grand daughter, Amie Vincent; and a sister Brenda Elmore of Indianapolis, IN. Funeral services will be Tuesday, April 30, 2013 at 1:00 PM at Tucker Beechmont Funeral Home in Beechmont, with Rev. Roger Heltsley officiating. Burial in Rochester Cemetery. Visitation will be Monday after 5:00PM at the funeral home. Online condolences may be made at www.tuckerfuneralhomes.com. The beautiful and interactive Eternal Tribute tells Mitch's life story the way it deserves to be told in words, pictures and video. Sharon Ann, So sorry to hear of your loss. When I think of Mitchell I remember the boy who was always smart and raised his hand in class with the correct answer! He was so kind and thoughtful, and I was blessed to have known him. God bless him and all of his loved ones. Mitch will be greatly missed. My thoughts and prayers go out to his family and friends. I am so very sorry of hear about Mitch and I know that if Frankie were still with us that he would be devastated by the loss of such a good friend. My prayers are with you Sharon, your children and extended family. I know you lives will never be the same without him. May you find joy and comfort in the special memories that you have of him as a Husband, Father, and Grandfather. So sorry. Mitch will be missed by alot of people. Praying for his family. Mitch well be missed very much he was a great friend to me. I will him his company and advice from time to time. But he has gone to a much better place and we will see him another day. I just want to thank everybody for their prayers and kind words and good things that you all have said about our daddy... He was so well known... Anytime we went anywhere he always knew somebody and usually more than just one or two people.. He had lots of friends, some that have went before him and he talked about them often and told stories about them.. usually funny stories! I know that Darrell Bowers best summed it up when he said "Mitch was superman"... I always knew i had the best daddy, but never really thought about him being superman.. but he was! always willing to help anybody that needed it and at anytime...there were so many days after hours when somebody needed something from the parts store he would go right over to help them and get what it was they was needing!!! He always put everyone else first, especially us 3 kids and Sharon- my wonderful step mom who i love dearly!!! and the last few years he has been dad to more than just me, Miranda and Andrew... He was dad to my husband Rickie that lost his dad almost 7 years ago now... I have talked to many people that knew my daddy and My most recent memory of me and him is still so vivid like it was just yesterday! It was a week ago from this last friday.. I had to go get a part for Rickie's truck and to just chat and talk to him about my sister Miranda having a baby girl... and he was so excited! he was talking about getting her a pink dirt bike lol As he loved to joke and go on ya know! Seth Cundiff came in to get some stuff and Bill from down the street was also in for a visit too... so my daddy started telling Seth that if there wasnt any good gossip goin around Beechmont by 9:30-10:00 then ya had to start one, and one that was believable! he then went on to tell of some of the rumors that him and Cha-Ha (Charlie Holland) had went on about and some other ones that him and some others went on about too, I laughed til i couldnt! Dad even got in on the laugh! gone to soon , great man and wonderful person , u will be missed by so many , rest in peace .